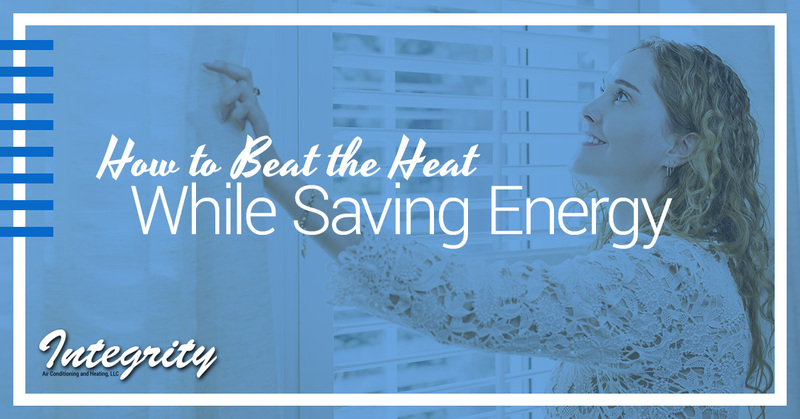 Fighting the summer heat doesn’t have to leave you with higher energy bills. Here in Phoenix, you won’t find anyone with their air conditioners off during the summer; it just gets too hot. In fact, just a few short days ago, we broke a heat record, and it was so hot that a few airlines had to cancel flights. With that kind of heat, you rely heavily on your air conditioner, and of course, that takes energy. But there are a lot of things you can do to help save energy in your home while also using your air conditioner to stay cool. #1. Keep the sunlight out. When the sunlight is streaming in through your windows, it can cause the temperature in your home to soar. Additionally, all of that sunlight can damage your carpet or hardwood floors, artwork and photographs. To protect what’s yours and to prevent your home from getting warmer than it has to be, always make sure that you keep your blinds and curtains closed during the day. If you prefer natural sunlight to artificial light, but you don’t want to live with the heat gain and damage the sunlight can cause to your belongings, consider using reflective film on your windows, or perhaps install awnings above them. #2. Reduce heat gain in your home. Every electronic device in your home generates some level of heat—even the lights. Some of these devices are best used at night, when it’s a little on the cooler side, like your clothes dryer or your dishwasher, while others are best avoided as much as possible during the summer, like the oven or the stove. As we mentioned, lights can generate heat, but you can avoid a lot of that heat if you upgrade from traditional incandescent light bulbs to LEDs. Not only do LEDs generate less heat, but they last a lot longer, saving you even more money! In addition to reducing heat gain, you should do your best to try to make your home as efficient as possible in order to save more energy, and again, how you use your electronic devices and appliances can make a difference. For example, the part that takes the most energy when you wash your clothes is heating the water. By washing on cold every time, you can save a lot more energy. You should also never wash a half-empty load. #3. Use a fan to maximize your air conditioning. 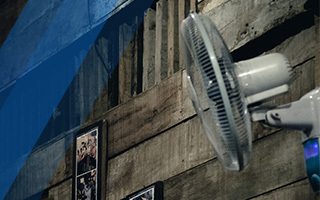 Fans can be effective tools when it comes to keeping us cooler and more comfortable. Whether you have a ceiling fan, a box fan, a standing fan or any other kind of fan, it can make you feel cool enough to turn the thermostat up a few degrees. But while fans are wonderful tools when you’re at home to enjoy them, they don’t actually lower the temperature in your home. So if you leave your fan on while you’re at work all day, don’t expect the temperature to be any lower when you get home. The only thing this accomplishes is wasting energy. #4. Install a programmable thermostat in your home. In order to make the most of your air conditioner without wasting a whole lot of energy, you should make it a point to turn your thermostat up a few degrees when you leave for the day or go to sleep at night. It can be difficult to remember to adjust your air conditioner multiple times a day, and many people aren’t good about staying on top of it. So, upgrading to a programmable thermostat could definitely make a sizeable difference. Stay tuned for our next blog to learn more, and if you are in need of air conditioning repair, maintenance or replacement, contact us!